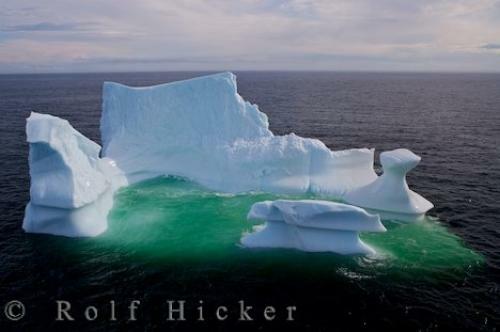 Aerial stock photo of an iceberg in the Strait of Belle Isle in southern Labrador. To watch icebergs from the air is always something very special. We had to charter a helicopter to get this aerial stock photo of an massive, 10,000 year old iceberg. Please make sure to see our image collection of aerial pictures from around the world. Pictures from photo gallery "Ocean Pictures"
This picture is part of the photo album "Ocean Pictures" - there are more beautiful images waiting for you.